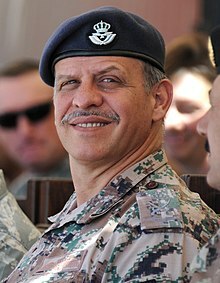 Prince Faisal bin Hussein (Arabic: فيصل بن حسين‎; born 11 October 1963) is a son of King Hussein and Princess Muna, and the younger brother of King Abdullah II. From time to time, he has served as regent during his brother's absences abroad. Faisal was born in Amman, Jordan. After early schooling in Amman, Faisal was sent in 1970 to his mother's native United Kingdom where he attended St. Edmund's School in Hindhead, England. The following year, he moved to the United States where he attended the Bement School in Deerfield, Massachusetts for the next two years. He then moved schools again, this time to Eaglebrook School, also in Deerfield. In 1978, Feisal commenced his high school education at St. Albans School in Washington, D.C. which he graduated from in 1981. His university education was at Brown University from where he graduated in 1985 with a ScB degree in electrical engineering. The prince also graduated with a master's degree in management from the London Business School in 1988. During his university years, Faisal took flying lessons and obtained a private pilot's license. 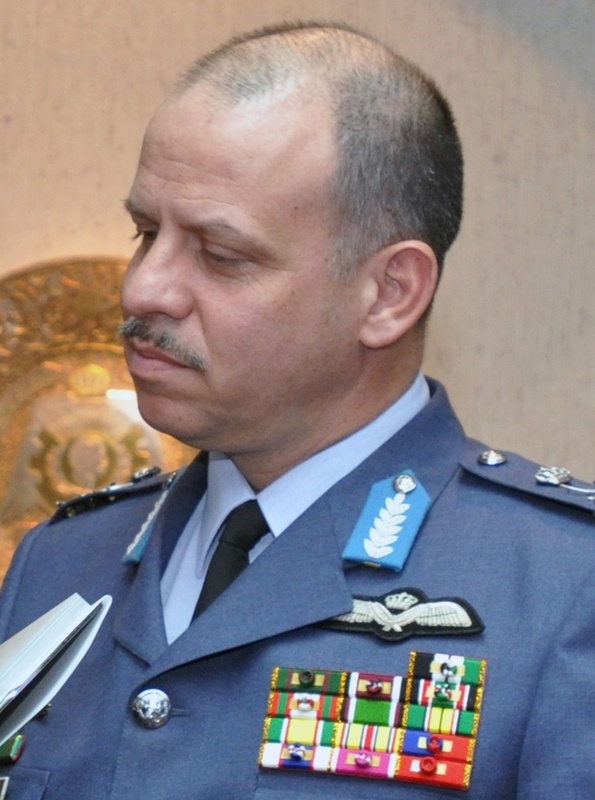 Prior to graduating from Brown University, Faisal served in the Royal Jordanian Air Force (RJAF), from which he received helicopter training. In the summer of 1985, he gained his RJAF wings and then underwent officer training with the Royal Air Force at Cranwell. Remaining at Cranwell, he did his RAF Basic Flying Training in 1986 before moving to RAF Valley where he completed Advanced Flying Training on jets and received his RAF wings in 1987. Later that year, Feisal completed further flying training at the Tactical Weapons Unit, at Chivenor in Devon. Faisal has been President of the Jordan Olympic Committee since 2003 and Chairman and Founder of Generations For Peace since 2007, a non-profit peace building organization, the brain child of his ex-wife Sarah Kabbani who was also his advisor for many years before their marriage. Following a period of strategic development and implementation of unique peace through sport programs run jointly by Sarah and Faisal, he was elected as a member of the International Olympic Committee in 2010. From time to time, he has served as regent while his brother the king was out of the country. Prince Faisal and Princess Alia divorced in April 2008. Prince Faisal's second wife was Sara Bassam Qabbani. They were engaged on 20 March 2010 in Jeddah, Saudi Arabia and were married on 24 May 2010. Faisal and Sara were divorced on 14 September 2013, after three years of marriage; the divorce was announced by Sara on her Facebook page. The couple had no children together. ^ a b "Jordan News Agency (Petra) -Prince Faisal sworn in as Regent". petra.gov.jo. ^ a b "Regent visits army, air force units". Jordan Times. 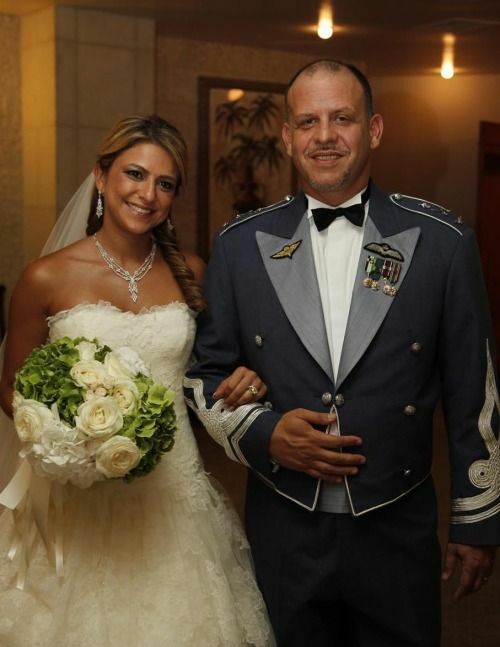 ^ "Prince Feisal marks birthday on Wednesday". Petra news agency, 10 October 2017. ^ "Boletín Oficial del Estado" (PDF). boe.es (in Spanish). 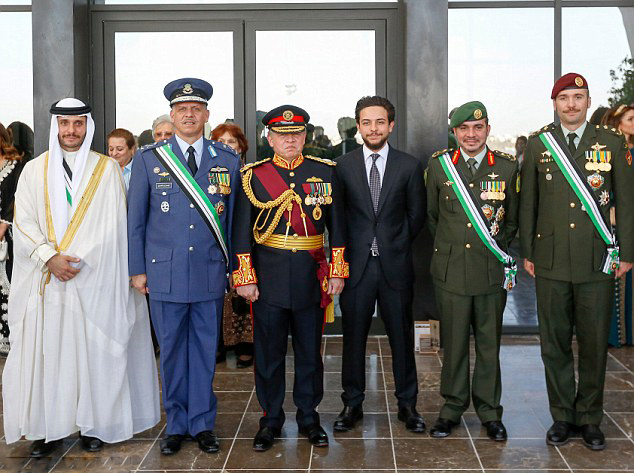 Wikimedia Commons has media related to Prince Faisal bin Al Hussein.